There are phrases that get repeated in romance novels all the time. I’ve never been sure whether these are genre markers or what, but they’re part of what non-romance readers find irritating about romance. They’re not quite purple prose: they’re not flowery enough for that. But maybe lavender? A couple of weeks ago, I wrote about “man smell”. Today, let’s talk about heroines who taste like honey. Have you noticed this descriptor? Whatever the hero is talking about tasting, he frequently describes the flavor as that of honey. I can only assume this must be a metaphor. That said, I’d like to leave aside the question of whether heroines really do taste like honey and instead talk about honey itself in preparation for Monday’s review of Ruthie Knox’s book Truly, the hero of which is a beekeeper. The book will be released Tuesday . I’ve got two dishes for Monday, a soup and a sandwich, both involving honey. 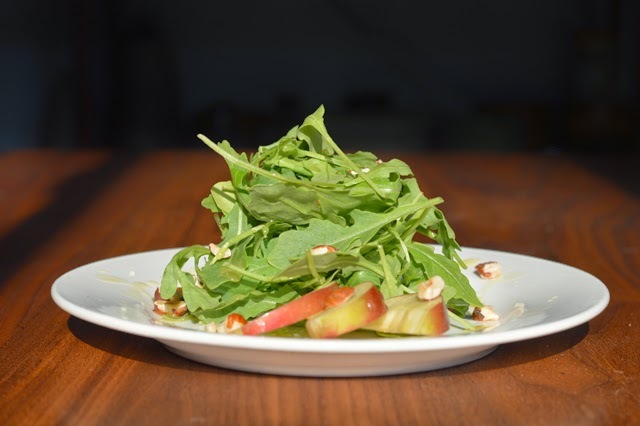 Plus, if you scroll down, you’ll see that I’ve included a recipe for a honey-based salad dressing. 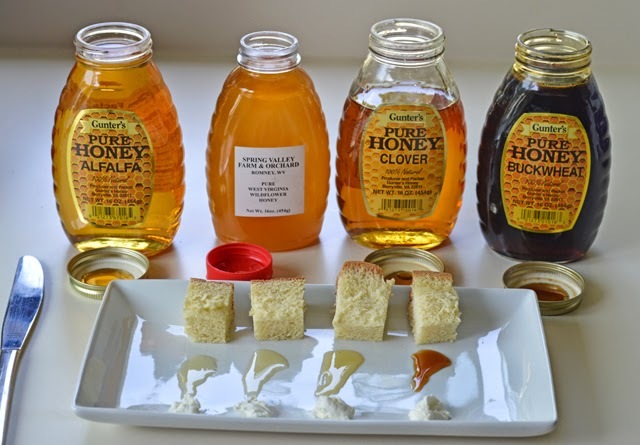 And since the book makes a big deal of honey from different places and different seasons tasting different, I decided to take advantage of the embarrassing bounty of local honey available in Virginia and do a mini-tasting. Fair warning: this is a foodie-obsessive kind of post. But I thought it was interesting and it’s my blog. So there. As a regular feature of my pantry, I keep Clover honey around, but I’ve never had a particular flavor reason for it. It’s just what the farmer who delivers my milk and eggs carries so that’s what I buy. I also picked up a Buckwheat honey and an Alfalfa honey at Whole Foods and a Wildflower honey at the farmer’s market, just to see if they really do taste different. Here’s a spoiler: oh boy do they ever. 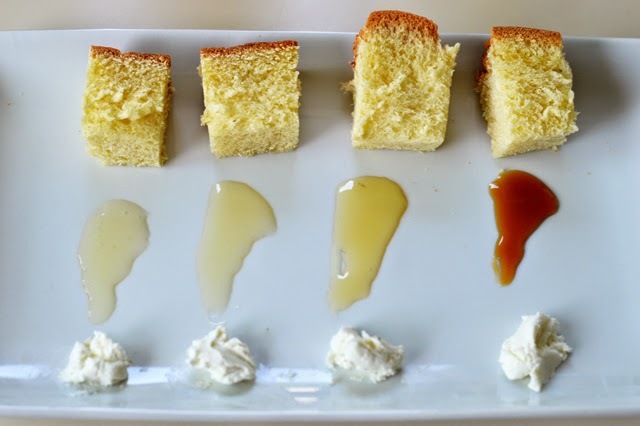 I tasted each honey with goat cheese and challah bread because that’s what I was planning on using in my sandwich recipe. I worked in a winery for three years in my early 20s. Even though I still wouldn’t consider myself an expert, I did learn a few things about tasting stuff. If I’d had a plain cracker like an oyster cracker or a saltine, I would have used that as a palate cleanser, but it had already been a two-trips-to-the-grocery-store kind of day and I really didn’t want to go back. So I just used a sip of water instead. So here’s where I go obsessively off the deep end and tell you all about the different honeys. Just skip this paragraph to get to the salad dressing if you think this is nuts. The Buckwheat honey (right) is almost molasses-like, both in color and flavor. It’s got a burnt caramel note and is very warm and rich. Our regular Clover honey (second from right) is actually kind of fruity, which I never noticed before, but is really obvious in comparison to the other varieties. The Alfalfa honey (left) is light and crisp, almost like a super sweet green apple. And the Wildflower honey (second from left) is somewhere in between the Clover and the Alfalfa. It was the most neutral honey I tried, which actually made it the least interesting. It ended up being the only one I didn’t use. I rarely buy bottled salad dressing any more. Fresh-made just tastes better, it’s better for you and you can control exactly what goes into it. A tiny food processor helps, but if you have three hands or a really heavy bowl, you can make vinaigrette just as easily with a wire whisk. Since my husband was out the night I made the dressing, I used my food processor. 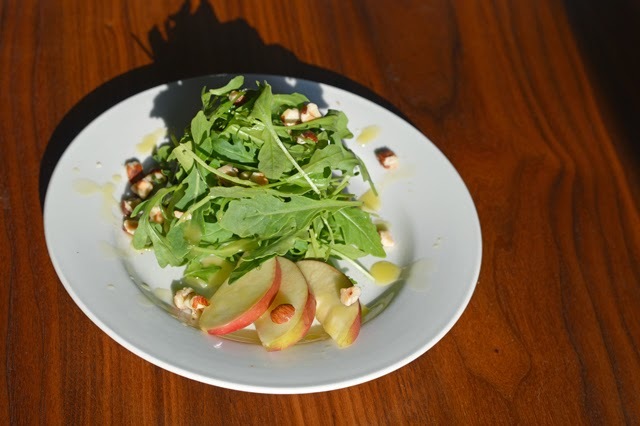 Oh, and this particular salad was just arugula, a couple slices of Empire apple and some toasted chopped hazelnuts. Stop by on Monday for the soup and sandwich recipes and my review of Truly! 1. Whisk together the honey & vinegar. 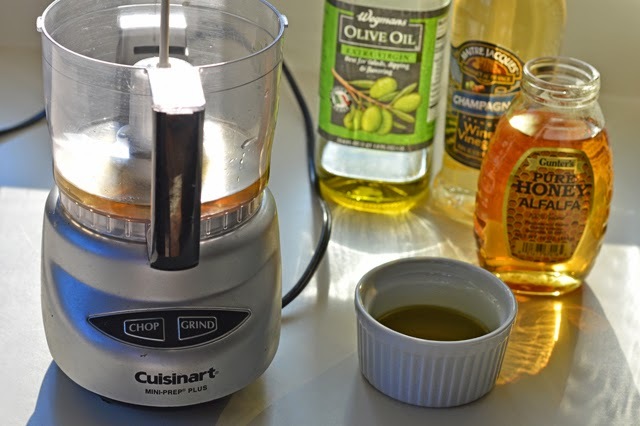 Add the olive oil slowly, whisking constantly or with the food processor running until combined. 2. Serve immediately or refrigerate up to one week. May need to shake or whisk dressing to recombine since it will probably separate in the refrigerator. My husband's cousin has a farm and has a few beehives as well. We are lucky enough to get honey from her periodically and it is so delicious! It's usually wildflower honey as she doesn't control where the bees go. I've had strictly clover honey as well which I quite liked. But recently I bought orange blossom honey from my local supermarket. It was delicious! It's a darker, orange colour and definitely had hints of orange flavor to it. It's quite interesting all the natural flavor variations you can get with honey depending on what pollen the bees are gathering. The company that has the buckwheat and alfalfa honeys also has an orange blossom and maybe another half dozen varieties beyond that. If I didn't already have four open jars of honey, I would have been tempted to try them all!